Whirlpool refrigerator water filter, retains beneficial fluoride in water while reducing chlorine taste and odor. 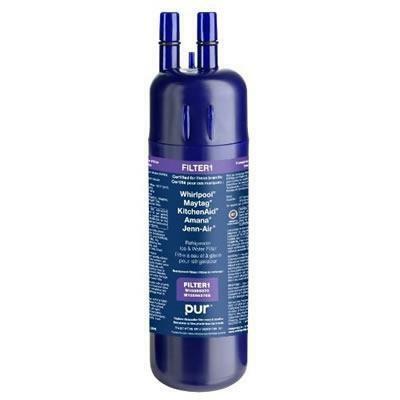 General Information NSF certified refrigerator water filter retains beneficial fluoride in water while reducing chlorine taste and odor; Reduces particulates, lead, mercury; Replace every 6 months. Compatibility WRS325FDA; WRS322FDA; WRS342FIA; WRS346FIA; MSF22D4XA; ASD2575BR.